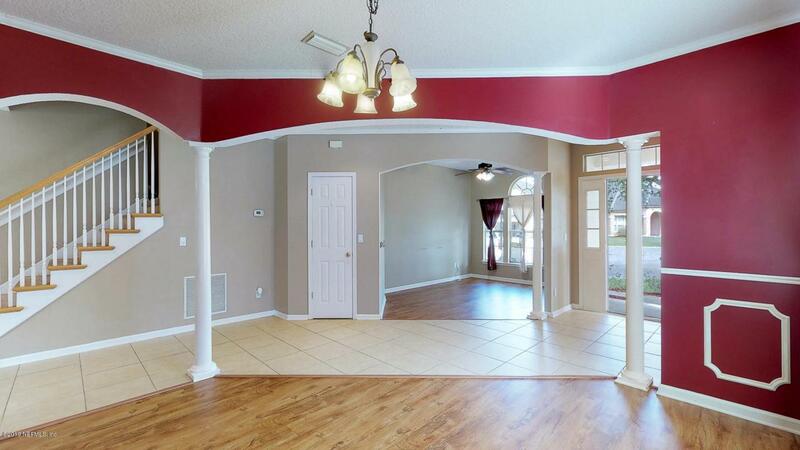 Are you looking for a very spacious home 4 Bd. 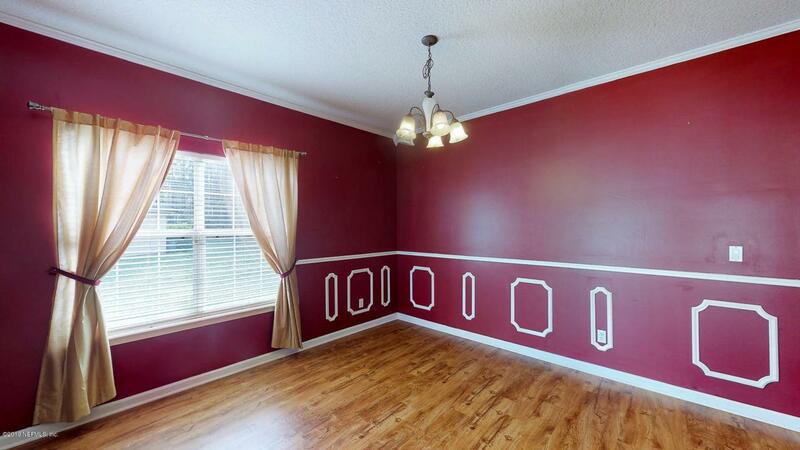 2.5 Bath 2996 Sq. 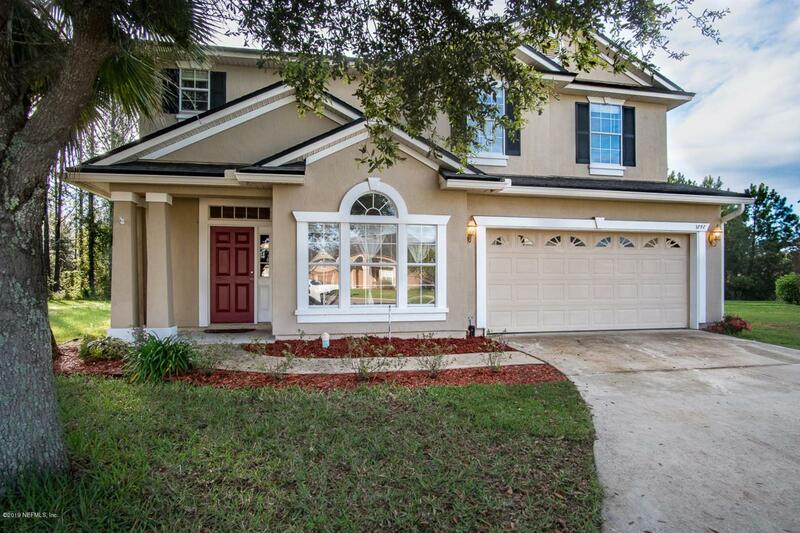 Ft in Oakleaf, within walking distance to the Oakleaf schools? Then here's your New Home. Great floorplan Formal Dining and Living Area, Eat in space in the kitchen with Solid Surface Counter Tops, family room with a gas fireplace and a screened patio downstairs.Upstairs has a Office with a 2 Sided Gas Fireplace that is in the Owners Suite, 2 walk-in closets, dual sinks, a Garden Tub and separate shower. 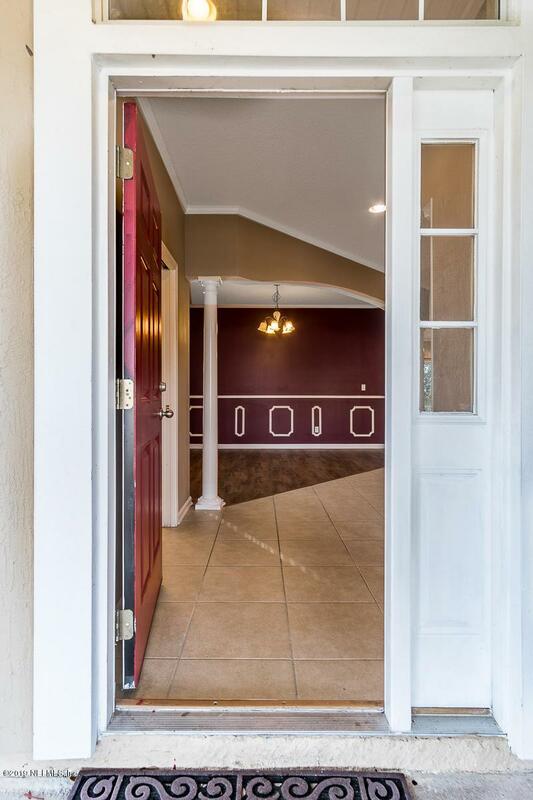 The remaining 3 Bedrooms are spacious as well.This home is within walking distance to all the Oakleaf Schools and it is located in the Cul De Sac. The backyard is also large enough for pool and it backs up to a conservation area.